I wanted to let you all know that I will be at the X Prize Cup event in Las Cruces New Mexico October 20-21. You will see me roaming around and spending a lot of time in the children’s tent 🙂 That’ s where I spent a lot of time last year. They have cool simulators and I’m a kid at heart so I stood in line with the 12- and 13-year-olds to play with the simulators. We had an excellent education program, and the kids and adults enjoyed it equally. I was so excited when X Prize Foundation was able to get support from the state of New Mexico to start this annual event. It is the best space event I have attended. There was so much excitement and this year it will be even better. There are a few exciting competitions that will be fun to watch, like the Lunar Lander Challenge and the Space Elevator Games… and then you have the Rocket Man. The X Prize Cup is a reminder that the Foundation is committed to inspiring technological advancement for commercial space — and dedicated to educating young imaginative minds about the potential of space. If you see me around, come and say Hi 🙂 and tell me that you read this blog and I will give you my autographed personal patch. I hope to see you there. Bring your telescope or binoculars — the night sky is beautiful to watch. I’d love to be there, but it’s a big trip from the UK !! What are your plans for updates between now and the launch. Do you have much free time. I guess you have to go to bed real early tomorrow as I see from the schedule you have to get up at 2am !! Good luck and thanks for the updates. In ye hesse ajibie ke har irani to har kojaye donya ke bashe ba shenidane in khabar va on lahzeyi ke miri to dele asemon delesh tap tap mikone vase IRAN mohem ham nist ke kojast ,faghat hame delshon mikhad iran va irani hamishe sarboland bashe. ma ke be sahme khodemon kheyli khoshhalim va barat arezoye movaffaghiat mikonim ba salmati va daste por bargardi. I want to honest with you. 4. Sorry for being so hard, but look for inner satisfaction, rather than searching for it in space. The 2005 X-Prize Cup Expo was a great event last year and I am certain that the 2006 X-Prize Cup will be even better with the various planned events.It will be great that you will be among the leaders within the industry to attend and inspire others. I am encouraging folks from Virginia to make the cross country trek to attend the best rocket event of the year. And, oh yes, it will be th highlight to have an authographed space flight patch signed by you. ENJOY the liftoff Monday. Many of us will be glued to NASA-TV watching the Soyuz GO and wishing you the best! please tell me what is “ham radio station”,you told something about it in “Asemane Shab” program,but I don’t know what it is exactly! I just read Irene’s article in Reuters and am saddened to hear you will not be allowed to freely express your affiliation with Iran during your trip. The news that you have offered a free space flight to presidential candidates in the USA is remarkable. I cannot express how grateful I am that you and your family have chosen to use your abilities to make a positive impact on the world in ways few others have dared. Your previous post about why you decided to invest in space exploration was eloquent and moving. I will refer to it for many years to come. Your focus on outreach to children (especially girls in Iran!) is inspirational. At the Space Generation Congress, to be held thei year at the end of September in Valencia, Spain, some of the female delegates come from countries like Iran where there is no support for their dreams of space. We form a virtual support network to help, but having you as a role model that has accomplished her dream is extremely powerful. Thank you sharing your story and your success. I look forward to seeing you at the Cup. Have a wonderful flight! I think you are the most amazing woman. I admire you and am jealous of you in equal parts. The negative comment I just read about you I find sad (for the person that sent it!) I look forward to your blog from space, website good, pictures good, your life so far good AND a trip to space!, love you or jealous? 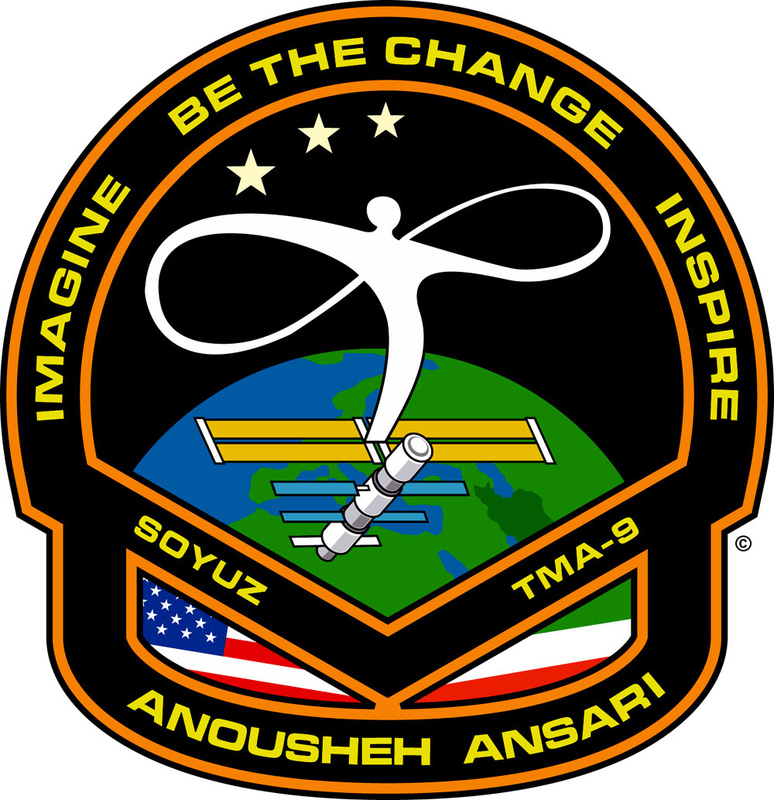 Hi Anousheh — so happy to know that you will be at X Prize Cup to hang around with the personal spaceflight hoi polloi — see you there ! I watched your phone interview on TV4 (Asemane Shab) and I loved it. You gave me lots of positive energy by your thoughts. I am too happy that I found your blog and I can tell you that you have a big impact on me. Now I am young and I will make my dreams bigger than what I made in past because now I can believe in it. I wish you best wishes and I hope you travel safe and well. Anoushe jan SALAM.Zibatarin va Behtarin arezooha ro dar in safar baratoon arezoomandam. Rastesh man Englisim khoobe amma fekr kardam ba zabane madari hessam ro behtar montaghel mikonam.Azizam ba in kari ke shoma kardin dar in donyaee ke seda be seda nemirese va harkas saze khodesh ro mizane mesle ye talangor mimoone.Dar vaghe safare shoma be faza gozashte az inke ye arezooye dirine boode, balke payamavare SOLH, ESHGH, MOHEBBAT va DOOSTI baraye nasle hazer va naslhaye ayandast va aghaze asri jadide. Cheghadr doost dashtam ke mitoonestim in eftekhar ra ba hozoore shoma dar IRAN jashn begirim. Vojoode shoma baese ghoroor va eftekhare tamame zanane Iranie. Rastesh kheyli harf baraye goftan daram, vali midoonam ke zamane shoma baraye khandan mahdoode. Mamnoon misham age javabam ro bad az safaretoon bedin. Very thanks for your nice blog. Radio Sation in Iran. The Call is EP3PTT. What is the HAM band and frequency you’ll be transmitting on? Thanks. I was deeply saddened by your perception of Anousheh’s trip and your limitations on what you are capable of seeing. Maybe you should educate yourself more about the purpose of Anousheh’s trip before insinuating that she is wasting “money in space”. Solutions to long-term challenges that are pertinent to the continuance of our planet are just as much out there as they are here on earth. Don’t be trapped by these parameters. Having children is a personal choice for everyone. If Anousheh has chosen to not have children, it is probably because she is an unselfish individual who is touched by the needs of others and wants to bring about change. She is putting her life on the line because she has the capacity to have a vision and wants to create possibilities for mankind. This is not about showing off. Problems can be tackled in many different ways. Open your mind and think outside the box for a change. There is a little device we called a LASER. When it was invented back in the early 60’s it was a curiosity, a solution in search of a problem so to speak. Had the question of whether more money, time and effort should have gone towards it’s further development been put to the vote it wouldn’t exist today. The thing of it is, it is now an utterly indispensible part of modern life! It is at the very heart of our telecommunication system ( this blog wouldn’t even exist without it ); it’s use in the medical field seems to be expanding daily, not to mention grocery shopping would be a painful experience without those wonderful scanners :-). My point is, just because we don’t always have the foresight to see the need or use for something doesn’t mean it doesn’t have one. Infact you would be amazed by the number of things you take for granted today which are the direct or indirect result of man’s involvement with space (my wonderful memory foam matress comes to mind) 🙂 I can guarantee you that the next 20 years of man’s presence in space will impact our lives in ways we can’t even imagine today. I wouldn’t be surprised if the cure for cancer was the result of research conducted in micro-gravity. As for your other observations about Anousheh, the world is full of people who have identical dreams to hers ( would you like a show of hands). They are neither Iranian nor are they compensating for anything. They just happend to have a thing called PASSION for something they believe in whole heartedly..
For anyone interested in space prizes like those that will part of the X Prize Cup, a couple days ago I started (as an “in my spare time” effort) a blog/web site on space prizes at http://spaceprizes.blogspot.com/. The Ansari X Prize is the classic ground-breaker space prize, and the X Prize Cup will hopefully continue that tradition. One of my goals with the blog is to provide pointers to space prize information (on and off the Internet) to make it easier to find. One of the commenters above implied the space efforts don’t have a useful or philanthropic basis. The fact is that space is already used for all sorts of things that help people in need, whether it be monitoring weather, satellite maps to help after natural disasters, communications, and so on. The space prizes and space tourism flights are part of an effort to greatly expand this for everyone. The space prizes offer new ideas on how to manage philanthropic efforts unrelated to space. There might be cases where prizes are a more productive approach than the traditional approaches. If you don’t mind wading through some dense academic prose, see the link on the blog for “Prizes for innovation in African agriculture” for an example. Some of the other links point to academic discussions that debate whether or not (or under what circumstances) prizes would be more effective, especially in the area of pharmaceuticals, which obviously are important from the point of view of helping people in need. From telling children about potential futures in space to proving it, is a bit of a step. Glad to see somebody is attempting to reconnect our dreams of space. Wish I could make it to the Cup, but this year, sadly no. But one day I shall, and yes, I’ll bring both the binoculars and the LX90. To the naysayers, I comment that there are many people who have worked with Anousheh who have not gone on to fight cancer, and only a few have gone on to LIVE a dream. If anyone should be ashamed, it is I.
Anousheh, long way since the RLT spec? It took a little bit of convincing to make me think… Its been an even longer time since I was in Jr. High, so I hope I get this right in its current context: прекрасна (prekrasna). See ya on the streams. Best wishes from one in ye-olde sw`int lab. I’m really happy for u just like all of iranians specially women. I wish all the best things in your excited trip. and beautifull views from that height. I had a dream some nights ago aboat the space. I was a tourist of the space in it ! We are waiting see u after the trip and listen to your speechs aboat the space, that’s our dream ! Anoudheh,I hope you have a wonderful flight.By the way, would you miss Earth ! عزيزم خوشحالم كه به ارزوت رسيدي و افتخار مي كنم كه نام تو بعنوان يك دانشمند ايراني بر سر زبان جهانيان افتاده است. اين روزها در خانه و محل كار نام تو با افتخار شنيده ميشه و كسالت روزمره ما ايرانيان را كلي كم كردي.هرچند كه انعكاس خبري اين موضوع در ايران بسيار بسيار كم است اي كاش بطور مستقيم برنامه پروازتان كه بسيار مهم تر از پخش مستقيم فوتبال فلان تيم دست چندمي دنياست پخش مي كردند كه ان دسته از ايرانيان كه اين خبر مهم حتي به گوششان هم نرسيده از ان لذت مي بردند.مطمئنا اين موضوع به يك جشن ملي تبديل مي شد. You were my smart student at Jandark high school. I heard about your wonderful trip and I just want to wish you the best of luck. Yek zan dar faza, va an ham irani, va az hameh behtar mashhadi. Shoma zibatareen khelghate khoda ra mibinid va an ham madareh hameye mah,zamin. Omid varam keh in zibayi dar shoma n’ekase zibayi khodetan beshavad. I loved your take-off and have watched you continuously. I wish you the best wishes and hope you continue to excel both physically and professionally, that is with your life. I know you understand the position you are in and have taken in history. I truly hope that you influence the Iranian youth and create an organization that supports the ingenuity and creativity of Iranians. Possibly shelters for Iranians who are full time students, so they strictly concentrate on their studies. And if that’s out of the question, mitooni ye scholarship be man bedi, ke betoonam madressamo edame bedam??? Wish you the best wishes. We hope all our Sisters/ Daughters will get success in near future like Anousheh. I just saw a profile of you on CNN. I am very happy for you and hope you have a safe flight. As an American/Iranian, I am proude of you and your achievements. Wish you and every member of the crew good luck. Please take a picture of the sleeping lion from the space shuttle. We wish to see you soon. Anousheh azizam salam alan ke in comment ro mizaram shoma to faza hastid omidvaram ke safare khobi dashte bashid va hamishe dar zendeghi movafagh bashi va be tamame arezoohatoon beresid .baraye man baese eftekhare ham be onvane yek zan va ham be onvane yek hamvatan ke chenin kare bozorgi ro anjam dadid omidvaram edame dashte bashe khoshhal misham age baram axai az safaretoon ya az experimenti ke dar faza anjam dadid dashte basham baz ham baratoon arezoye movafaghiat mikonam . Very nice travel, very nice exemple, may all the iranian women fallow you and make understand to our Iranian leader, that women are more important than petrol. they are the most precious (and beautiful) ressource of Iran. I got Dish-tv because it was the only way for me to see Nasa-tv. I watch some of most launch missions. When sleepily watching more of the same, they switch to the launch in Russia. There is an American woman going for the ride, but no, she’s Iranian. She’s beautiful, wistful, and charming. The whole event became somewhat sureal. I’ve spent much time trying to find out more and reveling in the irony of all of this. Anousheh said that she doesn’t care for politics, but now she could float her way into being a queen of politics. How can anyone be not amazed, happy and full of dreams for what this woman is doing and the potential good that could come out of all of this. I’m hopeful in new ways for her and all of the crew. Humanity and science and maybe a little politics! How enlightening! I hope you are enjoying your flight. You are able to fulfil the dreams of so many of us. And you can look down on us all and hope one day that we can all live in peace on such a fragile planet. I am going to New Mexico for the Ansari prize next month and I am writing a book on space tourism, so I hope you can give me a few moments of your time. Looking forward to this. I’m Fardin,an 17 years old boy from iran. Iranian’s brain for years and your name as first Iranian in space. have an experience like this. i hope that your love to space let you come back again near us. فکر می کنم پرواز شما به فضا اتفاقی است که که سالها در یاد ایرانیان باقی خواهد ماند و نام شما به عنوان نخستین ایرانی در فضا ! برای شما به عنوان یک هم وطن پیشنهادی دارم که امیدوارم قبول کنید . اگر می شود لطفا پس از بازگشت به زمین سعی کنید اولین کشوری که به آن می روید ایران باشد این نشان خواهد داد که شما زمین را دوست دارید اما تکه ای از این زمین برای مشا بسیار مهم تر و با ارزش تر است. http://web1-xprize.primary.net/webcast/webcast.php is left off the new xPrize website? And can you tell lif the charming hosts of original Ansari X prize show Laura Green and Gregg Maranak will be in this webcast from X Prize Cup? i’m so thrilled with everything that i read here.. you’re an amazing person and you really give inspiration to all readers and space dreamers out here..
i love how you tell stories about your trip and i feel like i’m there exactly where you are and feel exactly what you feel. thanks for sharing your thoughts and dreams. to the person who gave you negative comment.. i pity you mr mehdi (#3).. you are such an envious person. you should be happy for her.. at least she’s doing something remarkable and gives inspiration to everyone. i hope you’ll be enlightened.. instead of giving criticism to others, just do good to others and be happy. anousheh.. continue giving joy and inspiration to everyone.